Kris Wall Minis: Painting Class! 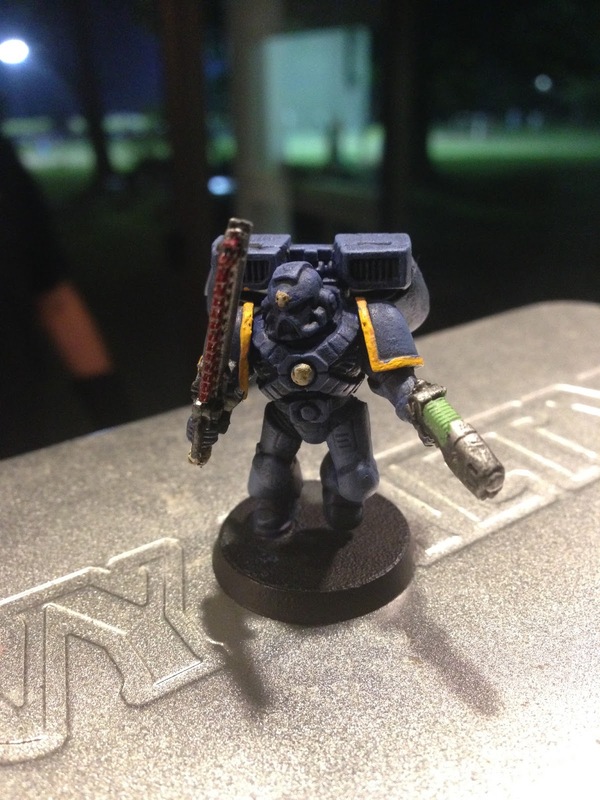 I met up with a couple of friends, one of whom is brand new to the hobby, Wednesday night. 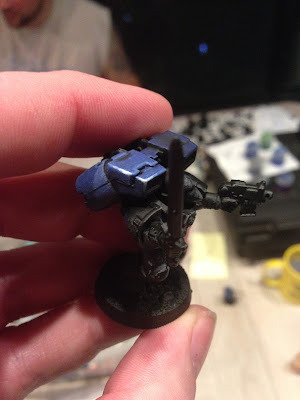 We went over some basic techniques, like how to get a proper basecoat, how to drybrush and basic layering/line highlighting. As a practice mini, our brand new miniature painter worked on an Ultramarine Assault Dude. We haven't gotten to basing yet, but I think he did a pretty amazing job considering it was his first effort and one of his thumbs is broken! 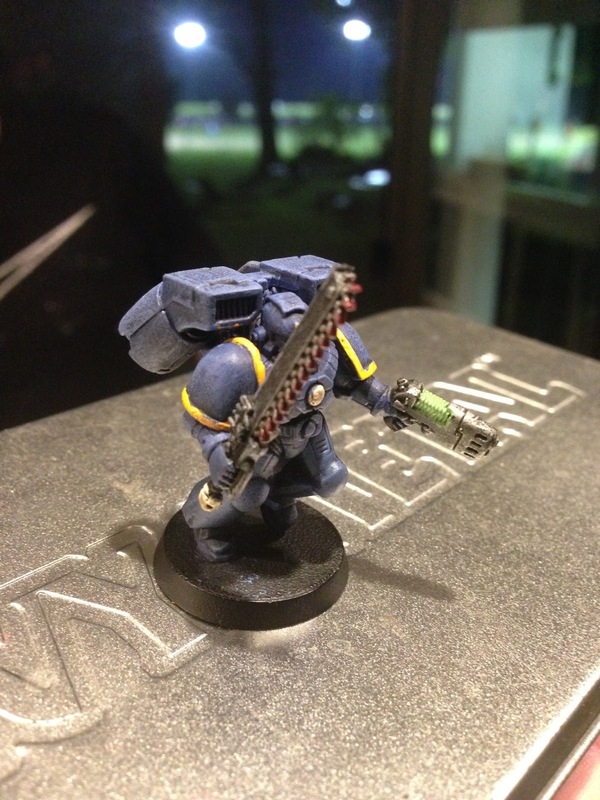 I thought he did a particularly good job on the plasma pistol. We went with green coils since it's halfway between the yellow and blue. Always gotta tie your colors together. 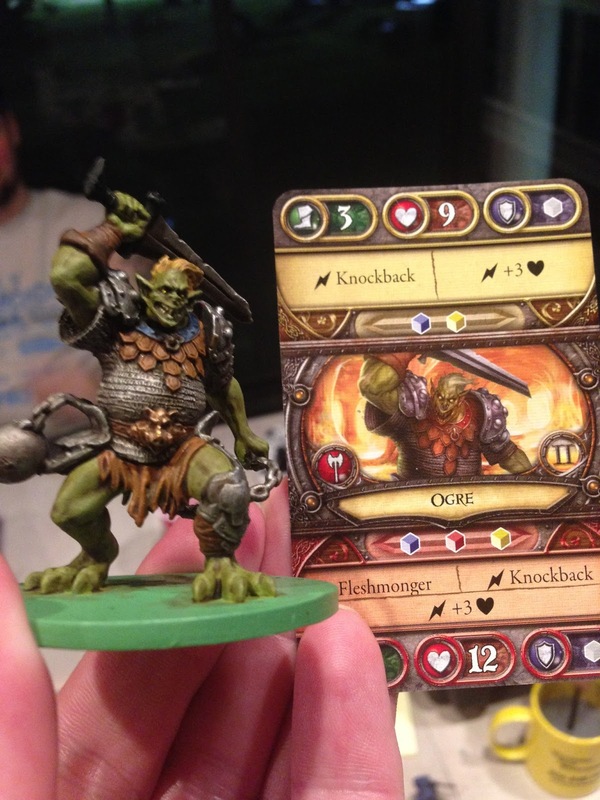 My other buddy painted a model from Descent. He's always trying to match the art on the cards. I think he nailed it. What do you think? Seriously... I wish my color perception was good enough to just pick colors like this without a tutorial. I spent most of the time "teaching" and offering feedback. All I did was get to practice a little on the sort of reflective edge highlighting that I see every once in awhile. I like how it turned out, but can't imagine painting a whole army like this. It's so time consuming.